Films and cricket cross paths every now and then. Actors have always taken keen interest in this sport through their Twitter feeds, buying IPL teams or even because of romantic involvements. And of course, they even land up at the stadiums to watch the matches live. As India gets ready for a big cricket match today, we look back at movie stars cheering from the sidelines in previous matches. Shilpa Shetty, who owns a share of IPL team Rajasthan Royals with industrialist husband Raj Kundra, is a regular fixture in the IPL matches. In this particular IPL T20 match between Mumbai Indians and Chennai Super Kings at Newlands Cricket Ground, South Africa, the actress turned up in the team's T-shirt and a turban. She completed the look with big-sized aviator shades. 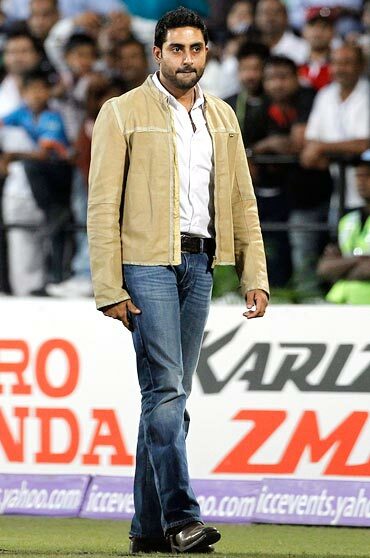 Abhishek Bachchan, whose film Game is up for release this Friday, turned up at the ICC Cricket World Cup match between India and South Africa in Nagpur for the film's pre-release promotions. He followed the casual-code with denims, a brown jacket and a white shirt. 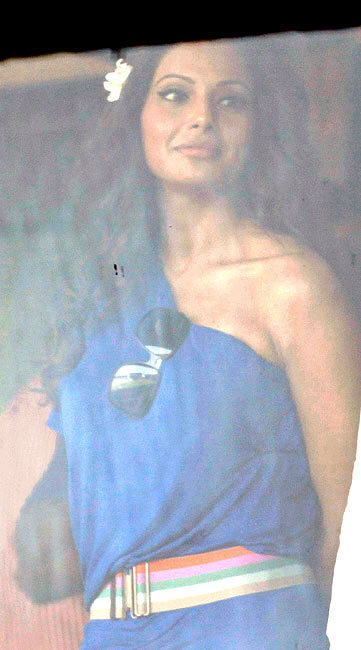 Bipasha Basu joined her Dum Maaro Dum co-star Abhishek Bachchan at the match between India and South Africa. True to her style, she kept her outfit casual, yet edgy with ripped denims and a ruffled one-shoulder top in electric blue. Preity Zinta, who is a self-confessed sports enthusiast, was present in the audience for a one-day match between India and New Zealand in Napier, New Zealand and went for the casual look for the occasion. She sported denims and a t-shirt and rounded off the look with huge shades to protect her from the blazing sun. Shah Rukh Khan was all business as he attended a match between India and Pakistan in Jaipur with the then captain Saurav Ganguly, in 2007. Thanks to her rumoured romance with Siddharth Mallya, whose father Vijay Mallya co-owns the Rajasthan Royals in the IPL, Deepika Padukone has become quite a pavilion pro. She's lately been putting up appearances in the teams t-shirt too, cheering them on from the sidelines. Since this is a picture from 2007, when she was just starting out in Bollywood and hadn't crossed paths with Mallya Jr, we find her in a conservative outfit and a rather predictable kind of glares. Shahid Kapoor and Priyanka Chopra flew to South Africa and watched the Standard Bank Pro20 international match between South Africa and India at Moses Mabhida Stadium this January. Priyanka looks like she couldn't care less about being spotted with her rumoured former beau, as she strains her eyes to catch a glimpse of the ball. 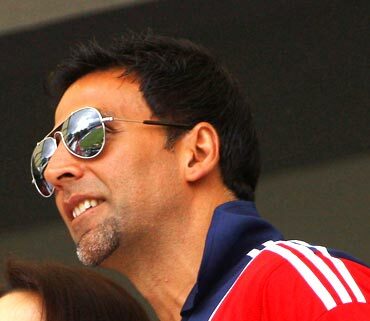 Akshay Kumar showed up in support of Preity Zinta's Kings XI Punjab for one if its IPL matches. He went with the trend and wore the team's t-shirt and aviator shades.